Seattle Children's Hospital is a 330 bed free standing children's hospital affiliated with the University of Washington. 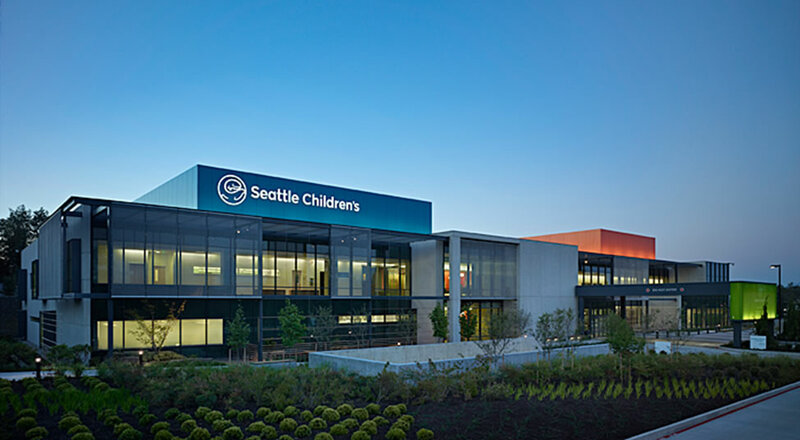 Faculty Fellows will split their time between the main hospital (as faculty) and Seattle Children’s Bellevue Clinic and Surgery Center (as fellows). The Bellevue Clinic and Surgery Center opened in 2010 and performed over 4,000 cases in 2015. It is a very busy ambulatory surgery center and continues to increase in volume every year (>10% last year) since opening. The Bellevue Clinic and Surgery Center was one of the first surgery centers to be built with the philosophy of Integrated Facility Design and is a model for Continuous Performance Improvement (CPI). For this reason, in 2015 over 500 healthcare visitors from the US and Canada visited the surgery center to tour the facility and learn about its novel approach to healthcare. The Bellevue Surgery Center is staffed by a group of eight ambulatory anesthesia attendings and includes an active regional anesthesia program (including peripheral nerve catheters); with hundreds of peripheral nerve blocks performed every year. The successful applicant will receive an Acting Instructor title for the 12-month full-time training appointment. 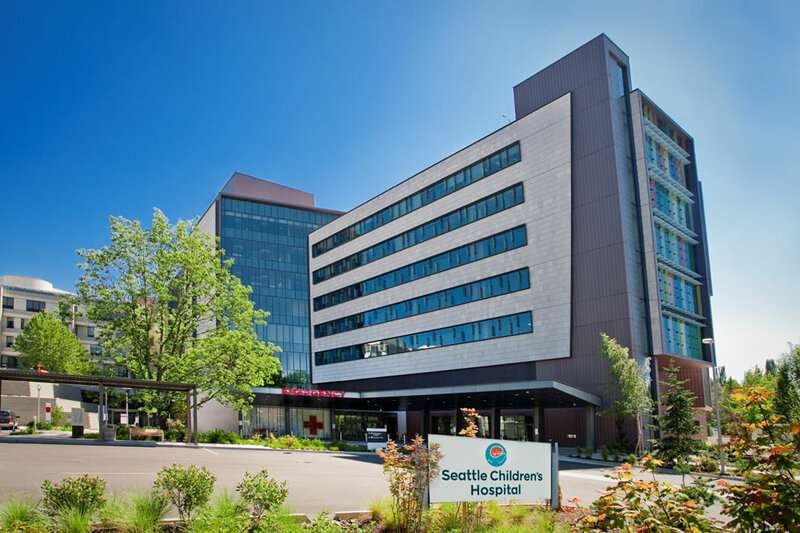 40% of your time will be devoted to ambulatory anesthesia training at the Bellevue facility, 40% working as a supervising attending at Seattle Children’s main campus hospital and 20% conducting research. The goals of the pediatric ambulatory anesthesia faculty fellowship are to provide advanced training in both pediatric ambulatory anesthesiology and Lean leadership in health care. In addition to clinical teaching, each fellow will complete Lean Healthcare training through CPI leadership classes offered by Seattle Children’s Hospital and a certificate program in Patient Safety and Quality offered by the University of Washington. (see website links below for more details) At the completion of training each faculty fellow should be equipped with the clinical, organizational and managerial skills necessary to direct an ambulatory surgery center using Lean principles. 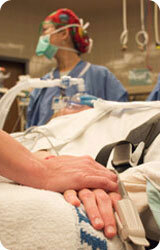 Field of Interest: Regional Anesthesia. Professional Interests: Teaching, pediatric cardiac anesthesia. Professional Interests: Pediatric anesthesia and critical care medicine. Research is focused on outcomes from regional anesthesia and quality/process improvement in the pediatric healthcare setting. Personal Interests: Running, all outdoor activities, and spending time with his wife and 3 daughters. 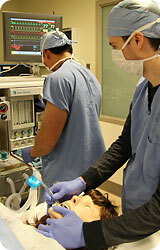 Clinical Interests: Congenital cardiac anesthesia and pediatric anesthesia. Teaching Interests: Education, Director of the ACGME certified Pediatric Anesthesia Fellowship Program. Personal Interests: Family, friends and the great outdoors. Professional Interests: Interested in the effects of general anesthesia versus regional anesthesia on the developing brain of infants. To become knowledgeable regarding the appropriate selection of patients for pediatric ambulatory surgery. To have a detailed knowledge of pharmacology of anesthetic agents and their appropriate use in pediatric ambulatory surgery. To become knowledgeable and proficient in the regional anesthesia techniques appropriate for pediatric ambulatory surgery. To become familiar with the prevention and management of common causes of unanticipated admission in pediatric ambulatory surgery. To develop familiarity with and understanding of principles and activities involved in the conduct of clinical research. To become knowledgeable and capable of conducting quality/process improvement projects. To become knowledgeable and proficient in the use of the organizational and managerial tools necessary to direct an ambulatory surgery center. Demonstrate the ability to screen patients appropriately for ambulatory surgery performed with sedation/analgesia, general and regional anesthesia. Demonstrate the ability to discuss the advantages and disadvantages of various anesthetic techniques with surgeon, patient, and patient family. Demonstrate knowledge of pharmacology of anesthetic agents and their appropriate use in pediatric ambulatory surgery. Demonstrate knowledge of the selection and application of appropriate regional techniques for pediatric ambulatory surgery. Demonstrate knowledge of the common causes of unanticipated admission in pediatric ambulatory surgery and of the appropriate methods for prevention and management of these adverse events. Demonstrate the knowledge necessary to plan and perform a clinical research project. Demonstrate knowledge and capability to conduct quality/process improvement project. Demonstrate knowledge of the organizational and managerial tools, including the unique requirements for ambulatory surgery charges, necessary to direct an ambulatory surgery center. There are two distinct structures to the program, both focused on one year training experiences. For anesthesiologists, the trainee is in a faculty-fellow role. Sixty percent of the time is dedicated exclusively to training, while forty percent involves the provision of clinical service. 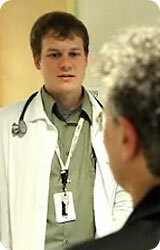 Other physicians are in an advanced post-medical graduate role and the entire focus is on training. The next deadline for applications to the faculty fellowship program is December 1, 2017 for positions beginning in the fall of 2018. Preference will be given to applicants completing their application before this date, and to applicants for two-year positions.